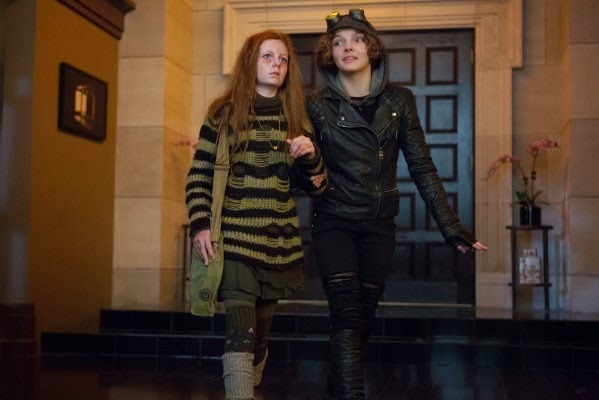 Gotham Midseason Premiere Preview: Awesome Guests at Arkham Asylum and More! When Gotham returns in 2015, Jim Gordon (Ben McKenzie) is working at Arkham Asylum in "Rogues' Gallery" after being kicked out of Gotham City PD. The focus on the asylum presents an opportunity for the series to introduce some intriguing new characters. Gordon finds himself investigating the murder of a fellow guard. 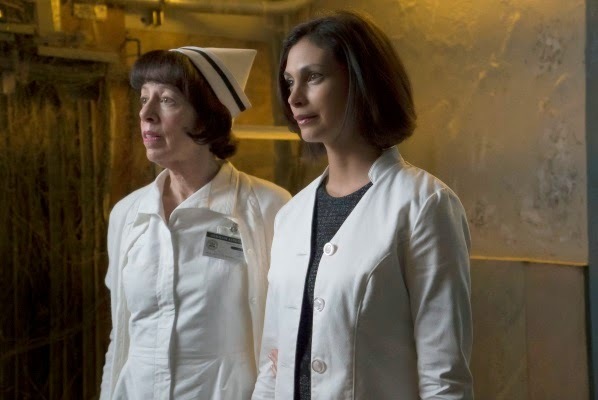 Morena Baccarin (Firefly, Homeland) guest stars as Dr. Leslie Thompkins. She works in the women's wing at Arkham, but shows up to help out when Gordon's investigation takes an unexpected turn. Could she be a potential new love interest for Jim since Barbara has moved on with another? Hmm... They look good together! Baccarin is joined by Allyce Beasley (Moonlighting) who perfectly portrays Nurse Dorothy Duncan. It's been a few years since I've seen Beasley on TV and it's been well worth the wait. She was well-cast in the role and a highlight of the hour. How awesome is that nurse's outfit? 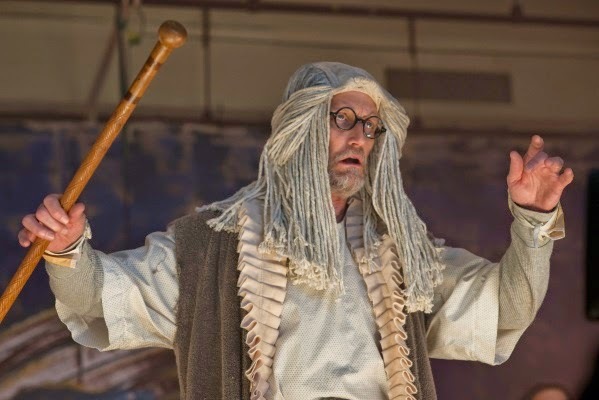 There are several notable Arkham patients in "Rogues' Gallery," but the best known is played by genre favorite, Christopher Heyerdahl (Hell on Wheels, True Blood, Supernatural). He's seen below dressed for a play being put on by the Arkham residents. Nice mob wig! While much of the hour is spent in Arkham Asylum and Jim's investigation into a mystery at the facility, "The Penguin" is in action and making a move, while Fish Mooney continues her quest for power. One of the most interesting turns occurs as a result of Selina Kyle's decision to help a sick Ivy Pepper. Ivy does something that has the potential to be a major disruption. This pair of young girls and the evolving relationship between the two is almost as intriguing to watch unfold as that of Bruce Wayne and Selina Kyle. The younger generation easily could steal the show away from the adult characters and the often boring turf war. Gotham Season 1 Episode 11, "Rogues' Gallery," airs on Monday, January 5 at 8 pm ET on FOX.